The recently-elected mayors of Johannesburg, Pretoria and Port Elizabeth say they are looking to get more value for money for empowerment initiatives by cancelling certain projects and considering reviewing others, while overhauling their supply-chain systems. This, after the opposition party clinched three more metros in the 2016 local elections. Together with the City of Cape Town the DA now holds four of the eight metros. In Johannesburg mayor Herman Mashaba, who took office in August last year, wants the city to focus on small- and medium-sized businesses, which he describes as “the real employment accelerators”. “To grow our economy in Johannesburg to the point that we can reverse unemployment, we need serious measures. These serious measures have to be premised by a city that creates the service and economic pre-conditions to growth,” he said. Mashaba said he would therefore be reprioritising funds and using them to improve service delivery, infrastructure development and projects that will help attract investment to the city. In a speech, in November 2016, Mashaba said the city would soon be embarking on a project to review all its by-laws, to make it easier to do business and revitalise the inner city. He stressed that the role of government is not to create jobs, but rather to create an enabling environment to allow investors and businesspeople, to set up and grow businesses and in so doing create permanent jobs for residents. The City of Tshwane meanwhile is looking at improving the province’s procurement process.Tshwane mayoral spokesman Samkelo Mgobozi said an improved selection process and more involvement from the private sector in the initiative, is needed. The city is involved in a number of business support measures, which include a bursary fund for informal traders set up in 2015, the Atteridgeville Construction Incubator, Tshwane Agropolitan City in Bronkhorstspruit, an innovation incubation initiative called eKasiLab and a schools entrepreneurship initiative the Youth FabLab. In Nelson Mandela Bay Municipality, executive mayor Athol Trollip has prioritised a clean-up and review of the supply-chain processes to ensure that more small businesses benefit from the city’s procurement spend. “I’ve assessed the current procurement supply-chain management department in this municipality and the adjudication process and we are going to change the whole system,” he says. He also wants the city to get more value for money for the goods and services it procures. He blames officials in the past who would often draw up tender specifications tailor-made to ensure specific companies win bids. “That’s why government is battling to deliver and battling to make ends meet with regards to what we have in the form of income or revenue as opposed to our responsibilities to deliver,” he says. He also wants to hold those who don’t pay contractors on time to account.“I’ve spent about 10 years serving on a public accounts committee and I’ve also run a business myself. I know how these things should work and we are going to hold officials responsible who are supposed to make things work according to very specific laws in the Public Finance Management Act and the Municipal Finance Management Act”. He says the city is also in discussions with the Department of Human Settlements to take back the housing delivery function, after a cabinet decision in May 2015 approved a national government intervention to help capacitate the city’s housing department. The function was given to the Housing Development Agency to manage. Trollip says if the city is able to manage the delivery of housing, more contractors from the city itself are likely to benefit, as currently the agency uses a lot of contractors from outside. “If it’s managed locally it will have a much stronger local flavour and it will look more closely at empowering local people, because we need to grow the economy, we need to stimulate job creation. We have the highest unemployment rate of all the metros and to employ local people helps us with our job creation,” he says. However he says he won’t necessarily approach companies to ensure that they become more empowered, as the municipality simply follows the Department of Trade and Industry’s BEE codes of good practice. “I don’t think it’s in my purview to go to companies and say to them ‘look you need to do X, Y and Z’. I think the companies are fully aware of the national prerequisites and prescriptions in this regard”. 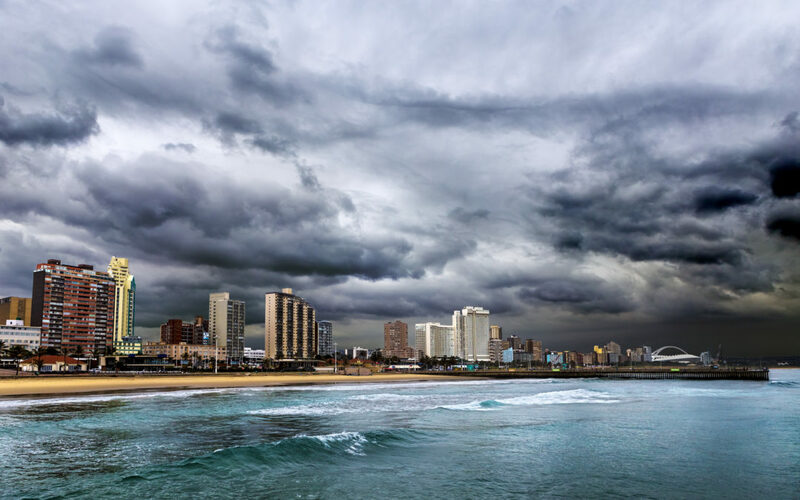 In KwaZulu-Natal, Durban is looking at transforming the township economy and in so doing empower small businesses, says Tozi Mthethwa, the spokesperson for eThekwini Municipality mayor Zandile Gumede. “The revitalisation of the township economy is rooted in the National Development Plan, which emphasises that 90% of the new 11 million jobs to be created by 2030 will come from small, micro and medium enterprises, hence eThekwini Municipality embarked on a drive transforming the township economy empowering small businesses that are the heart of our townships,” she says. Mthethwa says the city will focus on developing those townships that have large populations and that met the criteria for National Treasury’s Neighbourhood Development Partnership Grant, which provides funding for projects. The city is also looking to boost small business development through four business hives that are in the planning or development stage. These are the R25- million Bridge City Incubator (aimed at the services and retail sectors), the R37-million Ezimbuzini Auto-Hub and Trader Facilities, the R35-million KwaMakhutha Business Hive and R10-million Cornubia Support Centre. In February 2016 the Buffalo City Municipality launched an automotive incubator in Mdantsane to better support the township economy. The initiative is a partnership between the Metro, Automotive Industry Development Centre, Eastern Cape Development Corporation (ECDC), The Jobs Fund and the province’s Department of Economic Development, Environmental Affairs and Tourism. The incubator will serve as a hub for those that provide automotive glass, battery and tyre sales and repairs. However in November 2016 the Chairperson of the Select Committee on Cooperative Governance and Traditional Affairs in the National Council of Provinces (NCOP) Jihad Mohapi recommended that the city call an urgent summit to come up with a plan to assist black entrepreneurs. Speaking during an interaction with local entrepreneurs during the Taking Parliament to the People programme in East London, he said the city must also conduct an audit and develop a clear strategy to develop small businesses and help grow the local economy. It’s clear then that as the country’s growth slows, city authorities are going to have to be smarter in the way that they help more black-owned companies. Value for money might help stretch delivery further, but only if projects reach those that really need the help.